The Norman architects who built the massive Norman stone castles were not deemed as particularly important in the Norman and medieval scheme of things - the Norman Lords who commissioned the castles were the important people! Information about the Medieval architects who specialised in Romanesque architecture is therefore somewhat limited. The most famous of all Medieval architects was Master James of St George. The master builder and the Medieval architect of the White Tower of the famous Tower of London was a Norman monk called Gundulf (1024-1108). He was also known as the 'weeping monk of Bec'. Gundulf came across from Normandy after the Battle of Hastings and the Norman Conquest. In 1077 Gundulf was made the Bishop of Rochester. Gundulf was well known and respected as a Medieval architect and for his building skills. William the Conqueror used the skills of Gundulf in the construction of the White Tower, the famous keep of the Tower of London. Gundulf was also responsible for architecture and the building the keep at Rochester Castle and Colchester Castle. The chief architect and builder of the stone castle keep was called Robert, Lord of Belleme who also served William the Conqueror. Robert de Bellême (1052-1130) was an outstanding military architect. Robert de Belleme was the younger son of Roger de Montgomery, the Earl of Shrewsbury. 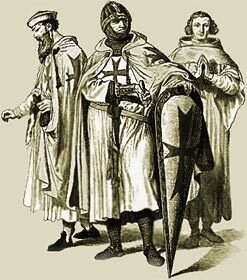 Robert de Belleme inherited lordships in Normandy and England but was involved in a rebellion against the king in 1102 and was subsequently had his English lands and titles confiscated. Henry Yeverley ( 1325 - 1399) was the chief architect employed by King Edward III (1327 - 1377) of England. He was a Master Stone Mason and also earned money as a successful Brewer. Henry Yeverley become one of the greatest Gothic Architects of English Castles in and around London. His prowess as a builder and Medieval architect came to the attention of the English royal court and in 1360 he was created 'the Master Mason of the King's Works throughout England'. He worked on improving the fortifications in the Tower of London and built additions to the old St Paul's Cathedral. These cumbersome castles featuring Romanesque architecture later gave way to the more slender and ornate castles of Gothic Architecture. The Medieval Times website provides interesting facts, history and information about the great artists and important historical events which scatter the Medieval History books on the subject of Medieval Architects. The Medieval Times Sitemap provides full details of all of the information and facts about the fascinating subject of Medieval Architects during the historical period of the Middle Ages. The content of this article on Medieval art provides free educational details, facts and information for reference and research for schools, colleges and homework for history courses and history coursework.